Vietnamese sweet and sour soup (canh chua) is an example of everything that is great about Vietnamese home cooking. It uses a variety of fresh vegetables and herbs to produce a soup of contrasting yet complementary textures and flavors. 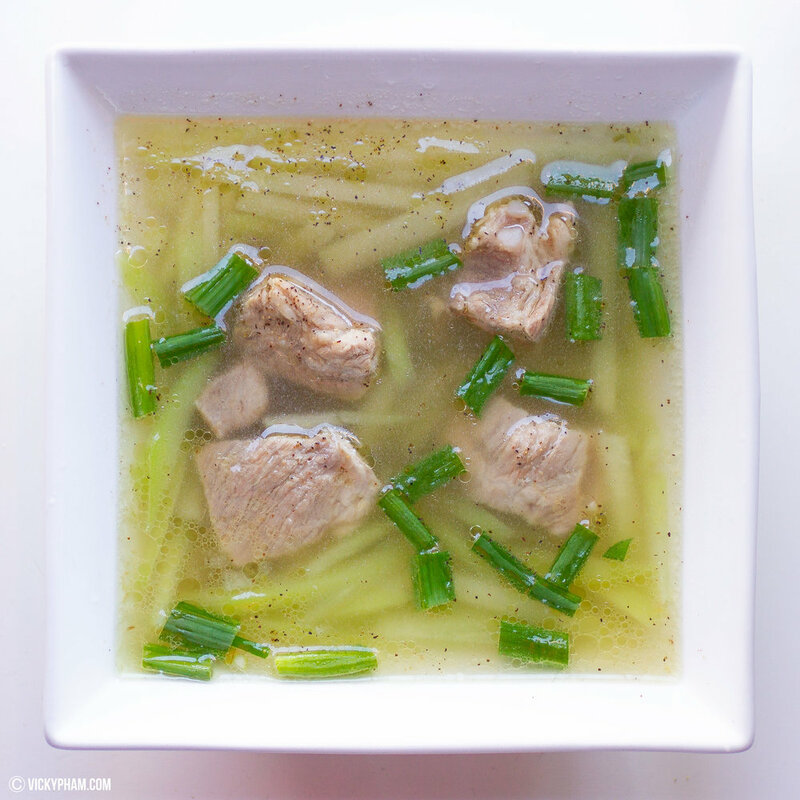 Vietnamese Pork Spare Rib Soup with Chayote (Canh Suon Nau Su Su) is one of my favorite soups. Chayote, also known as Mirliton Squash or Trai Su Su in Vietnamese, is part of the gourd family. It is light green, pear-shaped and grow on vines with a pit in the middle. Once cooked, it has a very sweet taste. Best of all, it cooks up quickly. Chayote with fall-of-the-bone tender spare ribs is a traditional Vietnamese home-cooked soup that will fill the belly and comfort the soul.